Greetings! Welcome to Paper in the Attic. If this is your first time here, please feel free to review some of our previous articles and do not hesitate to share your experiences and thoughts by posting a comment. Stay blessed! In the Urilia Text, we find the Dead God Conjuration. There is a portion that reads as such: IA! IA! IA! NNGI BANNA BARRA IA! IARRUGISHGARRAGNARAB! 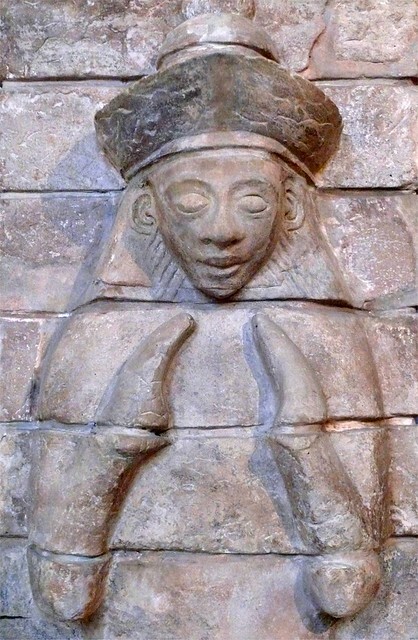 IA-RR-UG-ISHGARRAGNARAB is really in fact the goddess “Ishnikarab” or “Ishmekarab” of the Elamite pantheon. According to the The Archaeology of Elam: Formation and Transformation of an Ancient Iranian State, by Daniel T. Potts, Ishmekarab/Ishnikarab was the goddess that escorted the departed to final judgement to the god, Inshushinak. Inshushinak was the chief deity of Susa, which is in present day Iran. The placement of Ishmekarab within the Dead God Ritual makes sense as she escorts the departed to final judgement. Shub-Niggurath is aligned in the Table of Correspondences with Pan. In the Lovecraft Mythos, Shub Niggurath is the “The Black Goat in the Woods with a Thousand Young”. Pan is of course, the god of woods, and there is a connection to Shub Niggurath and Pan. However, there is no strong evidence at the present time that would tie the goddess Ishmekarab with either Shub Niggarath or Pan. A Shaman’s Speech That Can Solve Our Global Crisis- But Will President Obama And Other World Leaders Use It in Their Work? Papers In The Attic Blog Page Celebrates Its Fifth Anniversary!